Remember the TV show, MASH? Or at least heard of it? For the uninitiated, it was a popular comedy-drama in the 70s/early 80s that centered around a remote U.S. Army field hospital during the Korean war. 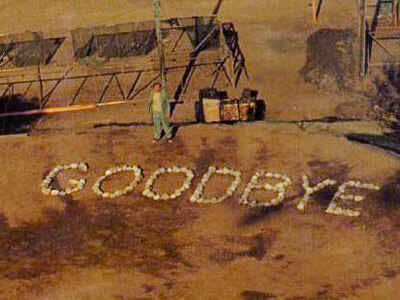 For 27 years, the 1983 series finale of MASH held the distinction of being the most watched television event in U.S. history - or so I thought - with 105.9 million viewers. What’s particularly remarkable about the record is its staying power in the face of a continuously growing national TV audience. In 1983 there were just over 83 million TV households in the U.S., most of which were watching over-the-air broadcast signals, compared to a cable-heavy 114.9 million in 2010 when the mark was finally surpassed. MASH’s reign came to an end when 106.5 million people watched the New Orleans Saints defeat the Indianapolis Colts in Super Bowl XLIV. The game went on to hold the title of most watched television event in U.S. history for all of 364 days, when 111 million viewers tuned in to Super Bowl XLV. Another 364 days later, Super Bowl XLVI captured the crown in February of 2012 with 111.3 million viewers. MASH bid farewell to its 27-year reign as most watched TV event in U.S. history when it was surpassed by Super Bowl XLIV. Pretty straightforward, right? MASH was the king for 27 years and now every new Super Bowl audience exceeds the last. Well, a funny thing happened on the way to naming the most-watched-television-event-in-U.S.-history du jour. The Olympics. While Super Bowl XLIV dethroned MASH in 2010, a quick Google search reveals that nearly every Summer and Winter Olympics for the last two decades enjoyed more viewers than any of the last three Super Bowls. All 10 entries on NBC’s list of most watched events in U.S. television history are Olympics, with Sydney 2000 coming in at number 10 with 185 million. By those counts, MASH and the Super Bowl can’t hold a candle - or torch - to years worth of Olympics broadcasts. So what gives? How can three straight Super Bowls be named the most watched television events in U.S. history when none of them ever actually beat so many Olympics that preceded them? Semantics. It really boils down to how you define an event. Is it a one-day occurrence like the Super Bowl or the finale of MASH, or can it be a days-long series of individual events aggregated under a single umbrella such as the Olympics? Does this mean one evening of Olympics coverage constitutes a program? The proverbial tables suddenly turn if that’s the case, with the 31.1 million average primetime viewers of the London Olympics actually paling in comparison to the 111.3 million who watched Super Bowl XLVI or the 105.9 million who watched the MASH finale 29 years ago. In fact, using this premise, no Super Bowl has ever had fewer viewers than an average night during London 2012 (Super Bowl I aired on both CBS and NBC in 1967, which claimed a collective 51.2 million viewers). All of this is not to suggest there’s any dubious activity taking place. It’s simply to point out that even the slightest nuance in the way we track, analyze, report and frame our data can have a profound impact on perception and value. It’s remarkable to consider the ability we have to reach people now in ways that couldn’t be imagined when Super Bowl I was played. That ability comes with far greater complexity and responsibility. It’s something we work on relentlessly at Brightcove: giving content owners the ability to expand their reach along with the tools to measure, understand and report how their content performs and audiences behave. Consider this: Super Bowl I aired live on two television networks. For the London Olympics, NBC employed two broadcast networks, four cable networks, two specialty channels, a computer and mobile Website, a 3D platform, and two mobile apps for iOS and Android smartphones and tablets to deliver 5,535 hours of live and on-demand programming. Complicated? Yes. But we’re here to make that part easy while you focus on creating great content, whether it’s an event, program or anything in between. Want to learn more? Check out Brightcove’s Digital Media Solutions on our Website or visit us in person during IBC next month. We’ll be on stand 5.C20. Feel free to stop by or set up a meeting by emailing ibc@brightcove.com.